You can convert any photo on your iPhone or iPad into a PDF file if need be. Typically this would be necessary for compatibility purposes only, since the default file type of a photo in iOS is a JPEG and already widely compatible. 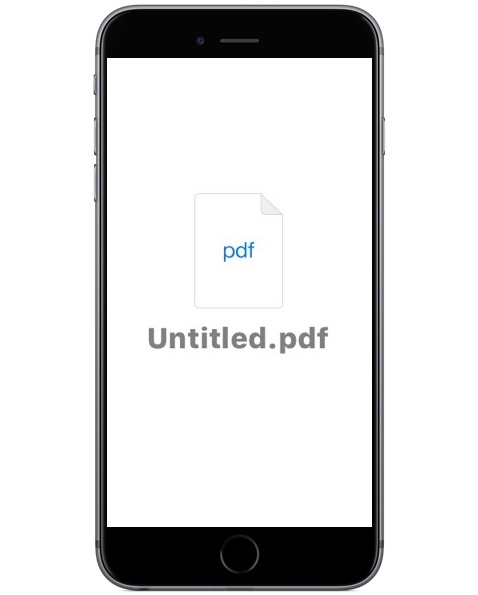 Nonetheless if you need to convert a photo into a PDF in iOS, this tutorial will show you exactly how to do it. We’ll demonstrate how to convert a photo into a PDF file on an iPhone or iPad. This method will convert a photo into a PDF file for sharing over email, messages, or uploading to iCloud, this uses a variation of the hidden Save As PDF trick in iOS. 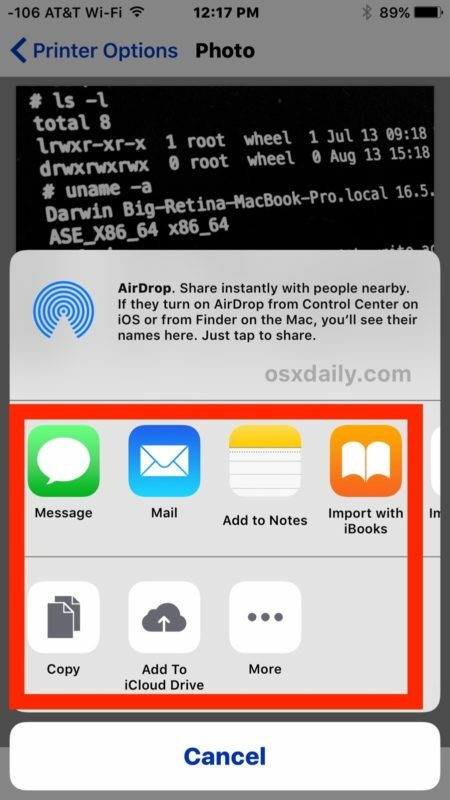 This will save a photo or picture as a PDF file, which can then be saved locally, shared, uploaded to iCloud Drive, or used for whatever other purposes. Remember that the default file type of iOS photos is a JPEG which is widely compatible with virtually any scenario, so if you’re just looking to exchange and share pictures there’s no reason to convert a photo to PDF first. However, sometimes some web forms, printers, digitization handlers, or documentation requests require a PDF file, and there are obviously myriad circumstances where a PDF is necessary as well. So, now you know how to convert photos to PDF directly on the iPhone or iPad. Easy, right? Happy Converting! 1. After selecting the photo and pressing the “Share” button, I must scroll horizontally through the Share Options to find the “Print” button. 2. After using the “spread” gesture on the the Printer Options page, I must press another “Share” button to get the screen shown in your step 4. This works great as described, and the instructions as written worked fine for me and I was able to immediately convert a photo to PDF file by following the instructions. I use iPhone and iPad successfully, every day. I think Little Richard might have other problems. I think maybe Little Richard has a hard time reading the articles and following instructions, which you know, some people have a hard time with that. Keep in mind the average IQ is 100, that means half of the people are lower than 100, and half are higher. 100 is not particularly high, Koko the Gorilla had an IQ of 90 for example, and that was a gorilla. We can assume a lot about Little Richard by his inability to follow directions. iPad and iPhone may be too advanced for low IQ folks, though I think Koko the Gorilla could use an iPad and convert a PDF if given the chance. I think Koko is smarter than the Confused Commenter. 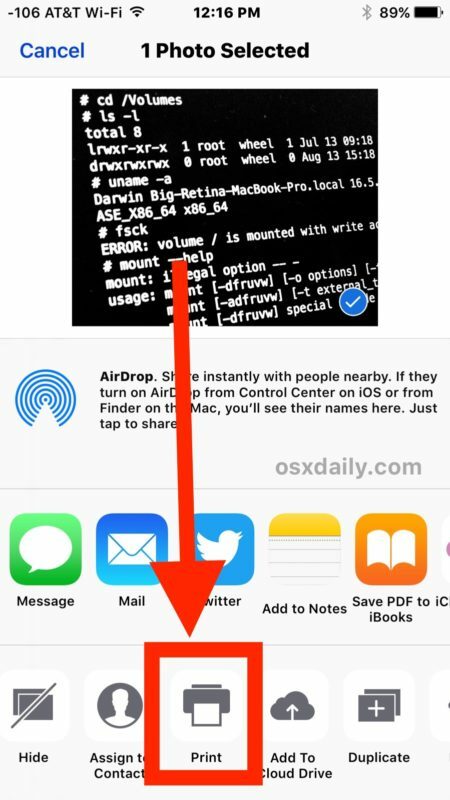 Nice tip, but I think iOS dependent. Richard Warner, your ‘go by name’ is very appropriate. Actually I have to agree with comments by Richard. The instructions given at the top weren’t working on my iPad. I was looking for comments section so I could say it didn’t work and found the useful additional notes by Richard, from which I was able to convert my photo to PDF. Is there a way to edit these files? « Shop Amazon Deals for Black Friday!